Barrie Colt 2015 #NHL Draft Prospects: Mackenzie Blackwood. 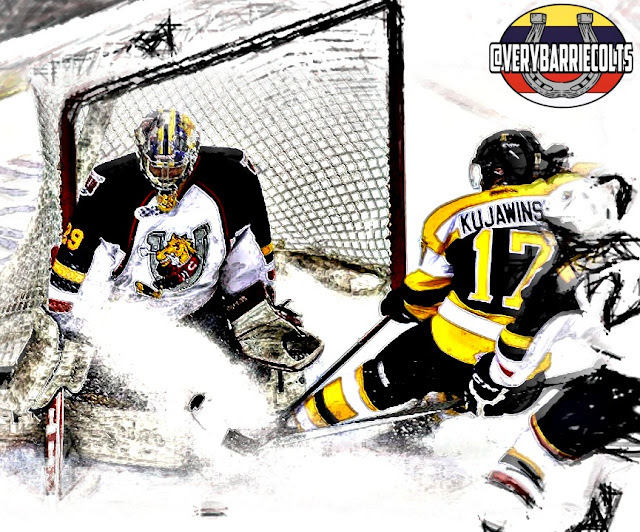 (@MacBlackwood1) #OHL - Very Barrie Colts | A website covering the Barrie Colts of the OHL. With the NHL Draft a little more than 2 weeks away we wanted to take look at the top prospects that play for the Barrie Colts. Last year at this time we were all biting our nails in anticipation with hopes that a kid named Aaron Ekblad might get drafted first overall. Though, NHL.com had him going second in the draft; Colts fans (and this blog) knew Ekblad would go first. And now, a year later after a great rookie season, an All-Star appearance and incredible numbers; we wait to see if he gets the Calder Trophy. This year there may not be that same buzz here in Barrie, but that does not mean there are not top prospects available at this years draft. 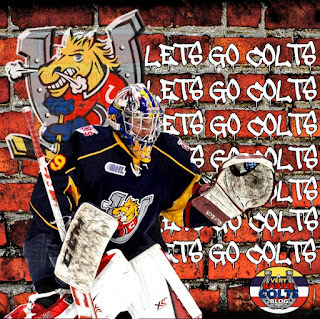 In fact, the top rated goalie headed into this years draft is Mackenzie Blackwood of the Barrie Colts. Last week, TSN's Bob McKenzie released his final rankings for the upcoming draft and picked Blackwood to go 35th overall (2nd round). Blackwood is coming off of a very strong season. Despite missing some time because of injury, he managed to play a large chunk of games for the Colts. Blackwood finished the season playing 51 games with a GAA of 3.09, SAV% of .906 and ending the regular season with a pair of shut outs. One thing to consider when looking at Mac's numbers is that the Barrie Colts did not make his job easy on him. Not only were the Colts the most penalized team in the OHL but they were the most by 100 minutes ending the regular season with 1155 PIM. No matter the situation, Blackwood always looked calm in net. 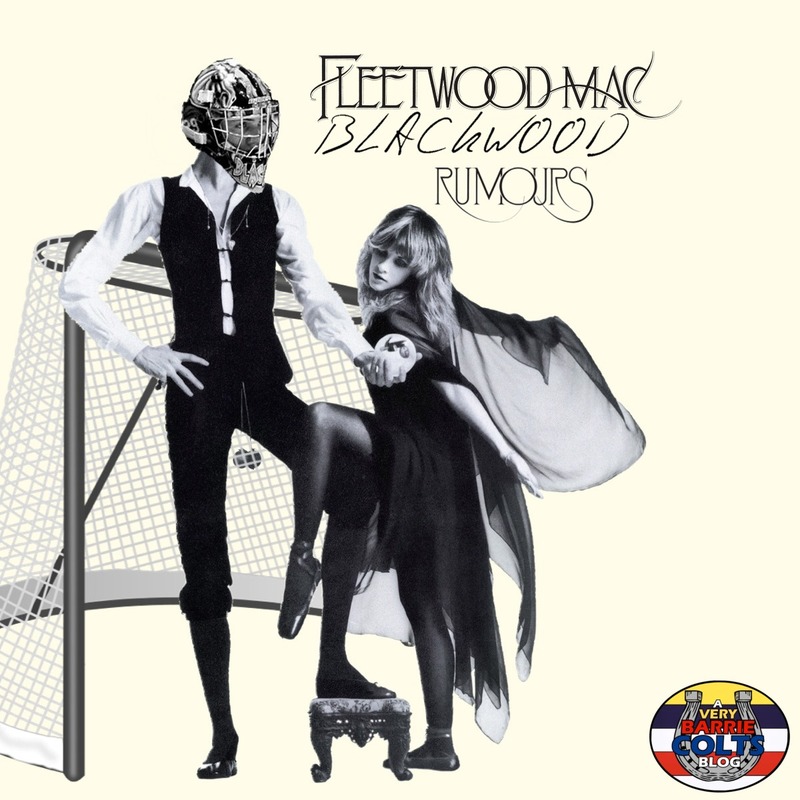 There is no doubt that the Colts COULD NOT have had the success they did without Blackwood. This kid is so calm. No matter the situation, he seems to always be cool in goal. Being a big bodied goaltender, he really knows what he needs to do to use that to his advantage. Blackwood himself has said that his game is very much like Mike Smith's of the Arizona Coyotes and that is a very fair comparison. He has also been compared to Pekka Rinne of the Nashville Predators. Playing the butterfly style is made to look so easy by Blackwood. Even with his size he has an incredible ability to move around in his crease and it can be very tough for opposing teams to find an opening on him. His ability to move from post-to-post truly is something else for a kid his size. No doubt his incredible conditioning is reason for that. Another area where Blackweed is great is his puck movement. Quick to beat opposing players behind the net and excellent at moving the puck to teammates. It was rare this year to see Blackwood make a poor decision with the puck. At his age, he is only going to get smarter and right now he has a very high hockey IQ. Only real problem with his game is he tends to get a little deep in his net at times. I imagine with his size it can be difficult to think that he can ever look small but sometimes he just backs in a little too deep. I don't care if you are 7 feet and 300 lbs, it doesn't make a difference if you allow yourself in that position you are going to look small. That being said this is an area that can easily be fixed with a good goalie coach and with age. From our 'Colts on Album Covers' Post. The NHL Draft is June 26th-27th, 2015 from Sunrise, Florida. What are your thoughts on Blackwood's chances headed into this years NHL Draft? Let us know in the comments, on our Facebook Page or on Twitter!